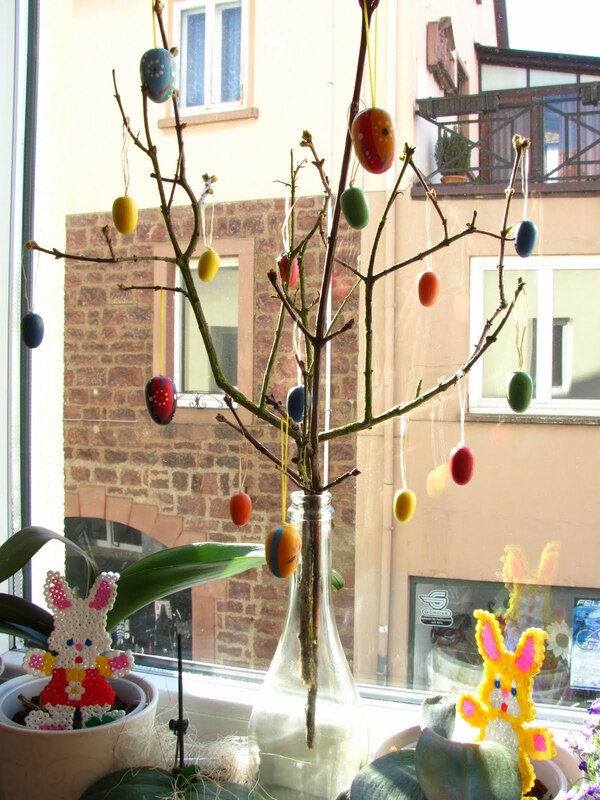 In Deutschland we have Easter trees. You can make your own by hanging easter eggs on dried twigs, fresh flowers or a potted plant. The eggs can be either plastic, wood or porcelain, the latter being expensive. You get painted ones or better still, paint them yourself. If you happen to drive around villages in Germany at this time of the year, you will see that every house has an easter tree in the yard too. I love this concept very much. I bought my own painted wooden eggs, some dried twigs and made our own tiny tree. What does your day look like? Do you have any Easter tradition in your part of the world? Do link up your today. 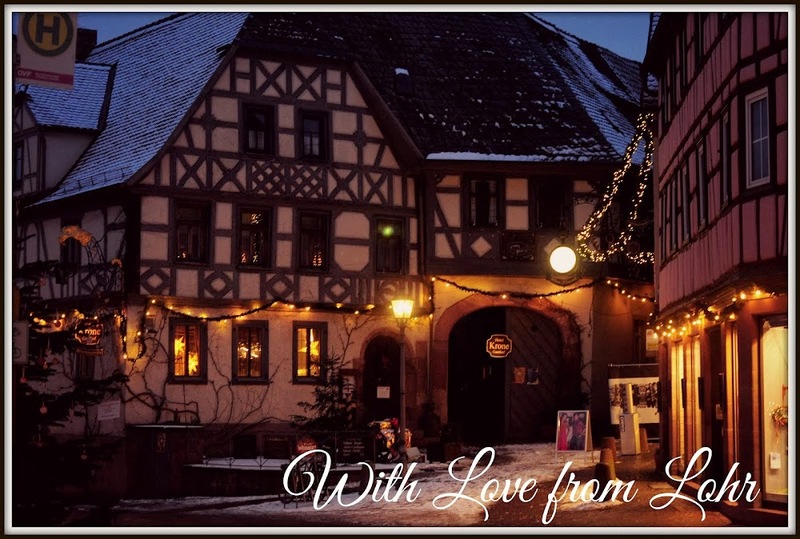 We would love to visit you. What a lovely Easter tree, May! Yes, I've seen decorative Easter eggs everywhere lately, some with the most intricate designs. I'm a bit wary of asking for the price because I know they'll be on the expensive side. I do like the wooden ones, though. I can't wait to see photos from your Switzerland trip. That place is a photographer's paradise, just utterly breathtaking! Beautiful.....I remember our easter tree last couple years...such a fun time of year in Germany. That's so pretty! I've never heard that tradition, and only know the general Easter traditions in the states - Love the perspective too! I've seen an egg tree or two over here, but yours is by far the prettiest I've ever seen! Hi May : ) I just showed Kaish your easter tree and he thinks it is cool too! I am so glad I saw it this week. I really need to make one since easter is just 7 days away! Can you believe that there were no cake samples at the cake show yesterday? I have to do a post about the amateur cakes : ) Those were the professional ones.